Reaching a settlement in a workers compensation case in the state of Georgia can be a long and involved process that often requires a series of negotiations, compromises, and back-and-forth discussions between the employer/insurer, and the claimant (your) and your attorney. While each case is characterized by its own unique circumstances, the following is a general overview of the necessary steps involved in reaching a workers compensation settlement. First, in the state of Georgia, no workers compensation case can settle unless the claimant (injured worker) and the employer/insurer reach an agreement. A workers’ compensation settlement is binding upon both parties and considered finalized only after the agreement documents, commonly referred to as the Stipulation and Agreement, are submitted, reviewed, and approved by the State Board of Workers’ Compensation. 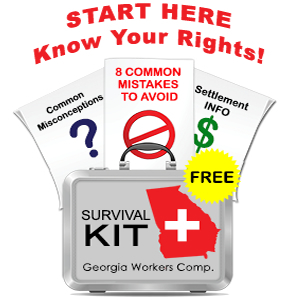 A Georgia Workers’ Compensation settlement can take one of two forms: a Bona Fide Dispute Settlement (Compromised Stipulation) or a No-Liability Settlement. In a bona fide dispute settlement, the employer/insurer admits liability. In this situation, the settlement documents will acknowledge the claimant has lost time at work due to the sustainment of a compensable injury. Included in the settlement agreement are the contentions of both parties with a clear outline of the amount to be paid to the claimant. By contrast, in a no liability settlement, the employer/insurer does not admit to liability of the injuries sustained by the claimant. Typically, a no liability settlement is put forth when an individual alleges injury at work and the employer/insurer does not agree to pick up and pay indemnity (TTD benefits/loss of income benefits) because they deny the claim or do not believe lost time benefits are due. Realize, the employer may have previously paid medical bills for the worker’s injury but can still put forth no liability settlement documents. This may seem contradictory, but categorizing the settlement in this manner is allowed under Georgia law. Despite this denial, the employer/insurer may draft a no liability stipulation whereby the employee agrees to dismiss his or her claim against the employer. The parties then enter into a separate agreement wherein the employer agrees to pay the claimant a lump sum to settle the worker’s outstanding claim for benefits.